August is coming to you one day early! Summer is slipping by far too fast. Farmers’ markets are exploding with goodness this month, and fortunately, much of the produce growing now doesn’t need much cooking, if at all. Now’s the time to savor a ripe peach over the sink. On the home front, I just got back from a relaxing family reunion in Colorado, and I just moved from one apartment to another within my building. While my new place is all sparkly clean, I shared a home tour on Instagram. I got some repeat questions so I made this page with links to where I got everything. If you love home tours like I do, I hope you get a kick out of it. Gluten-Free Blueberry Cobbler: Tessa brought this to girls’ night and it was so good. What Is Meat, Anyway? Lab-grown good sets off a debate. Solid Relationship Advice: Always be on the same side of the problem. How to Make Tough Decisions Easier: In case you suffer from major F.O.B.O. (Fear of Better Options) like I do. On sale: my go-to summer shorts, and cozy Patagonia vests and coats for the whole family (affiliate links). Also, my cookbook Love Real Food is super affordable on Amazon right now—don’t forget to clip the 71-cent coupon shown below the sale price! 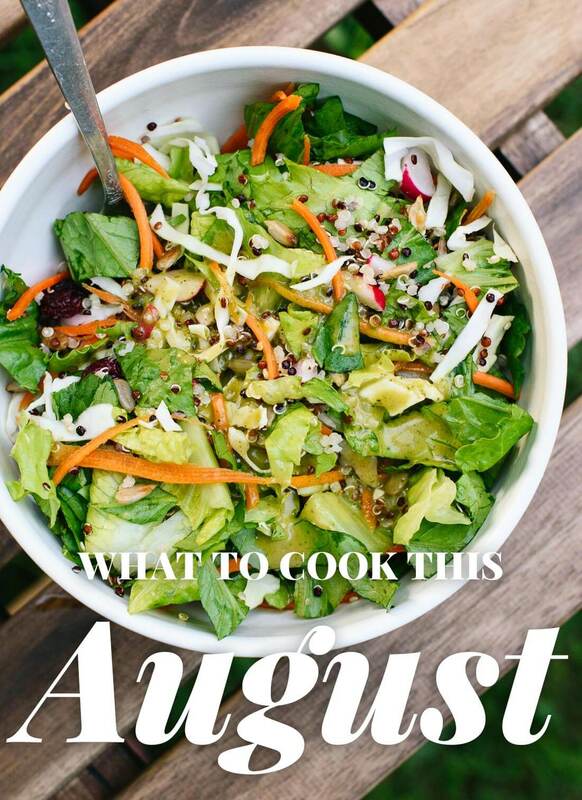 The post What to Cook This August appeared first on Cookie and Kate.